This building has been renovated as an art gallery. The front yard going to the porch has been walled-in to house art pieces and a meditation garden and the entire area is used for art exhibits. Originally, the building housed former Kentuckian Dr. Robert T. Lucas' office and then Dr. P. M. Shaver's. Anslem Lewis Burke, publisher of the Carrizozo Outlook, lived here in the 1940s, and Mrs. Burke ran a store in the front. Sisters Margaret Lane and Alma Sherrill then made this their residence for many years. 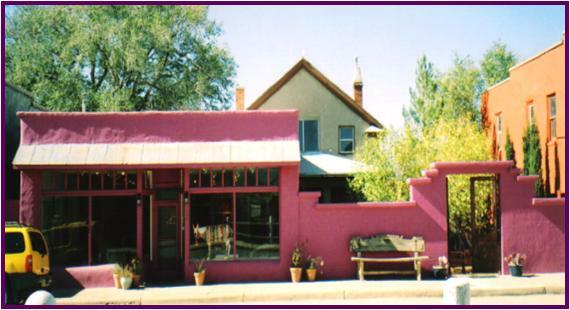 The current owners purchased the property in the mid 2000's and opened Gallery 408, Home of the "Burros of the Southeast" and various artist's exhibits.